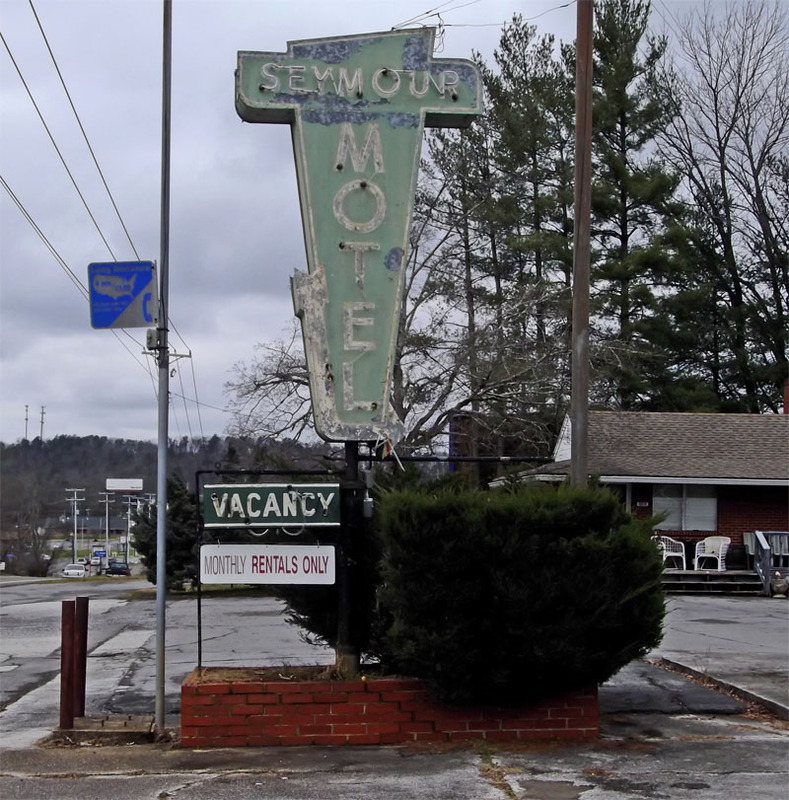 This is, of course, in Seymour TN. Appears to be a motel from the 50s. 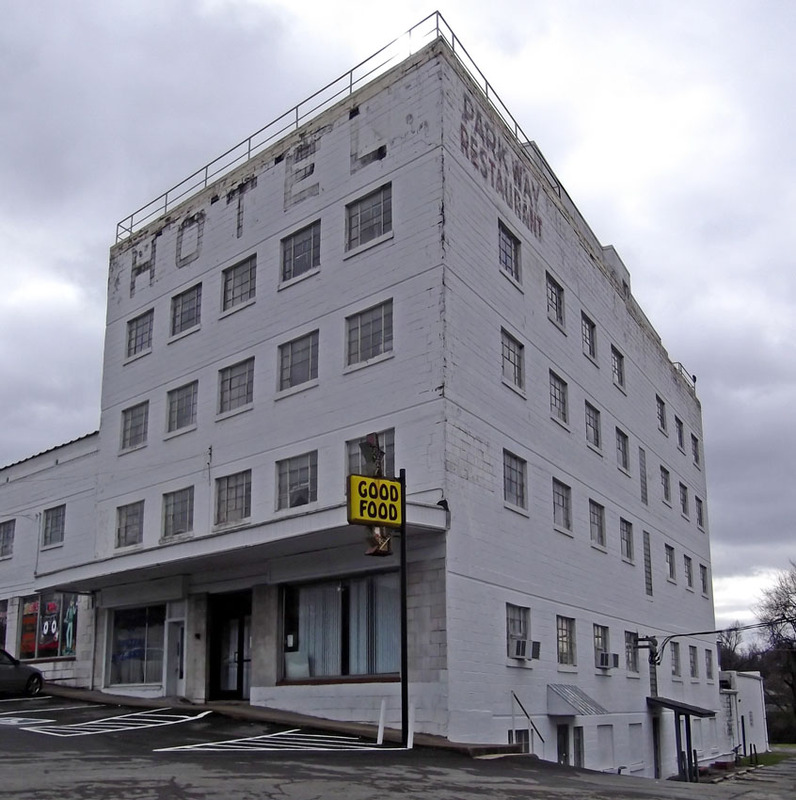 The erstwhile Parkway Hotel, just outside metro Knoxville. The guy who runs the pawn shop down the way told me that this hotel was a quite nice establishment back in the 50s. Restaurant, ballroom, strange looking windows, everything. It’s now apparently derelict. The “Good Food” sign is from a more recent restaurant.